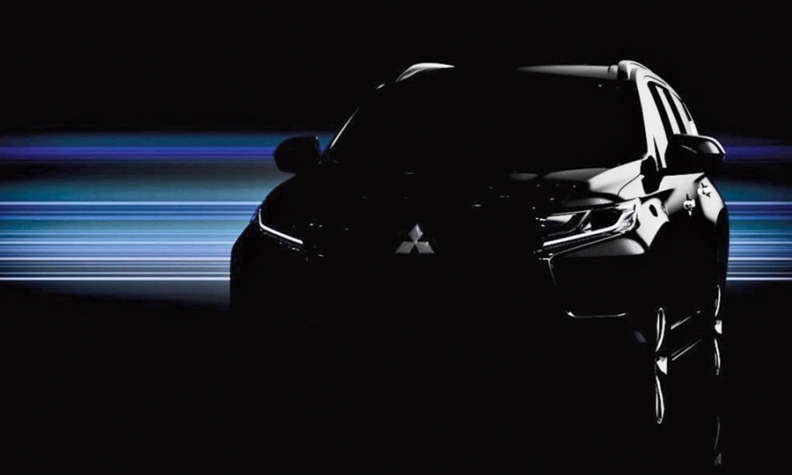 Teaser photo shows the redesigned Mitsubishi Montero Sport, due to be unveiled on Aug. 1. Mitsubishi last week offered a glimpse at the next product in its SUV offensive: a third-generation Montero Sport. Mitsubishi plans to unveil the redesigned SUV on Aug. 1 in Bangkok, Thailand. It is expected to be built in Thailand and exported worldwide, though probably not to the United States anytime soon. The Montero Sport is built on the frame from the L200 pickup, making it a mainstay in places such as Southeast Asia and Latin America where the roads can be rough on unibody crossovers. In the U.S., it competed with the Toyota 4Runner and Nissan Xterra before being discontinued in 2006. Like the larger Montero, due for a redesign in 2018, the Montero Sport would need to be widened at a cost of about $50 million to satisfy U.S. rollover standards, Don Swearingen, executive vice president at Mitsubishi Motors North America, told reporters last month. But executives say there's only room in the U.S. lineup to justify an investment in one of the two models. The next iteration of the Montero, according to dealer sources, is the top priority.